Updated: Feb. 7, 12:55 a.m. | Posted: Feb. 6, 5:50 p.m.
DFLer Tim Walz and Republican Jeff Johnson won the first governor's race scrimmages in their parties. 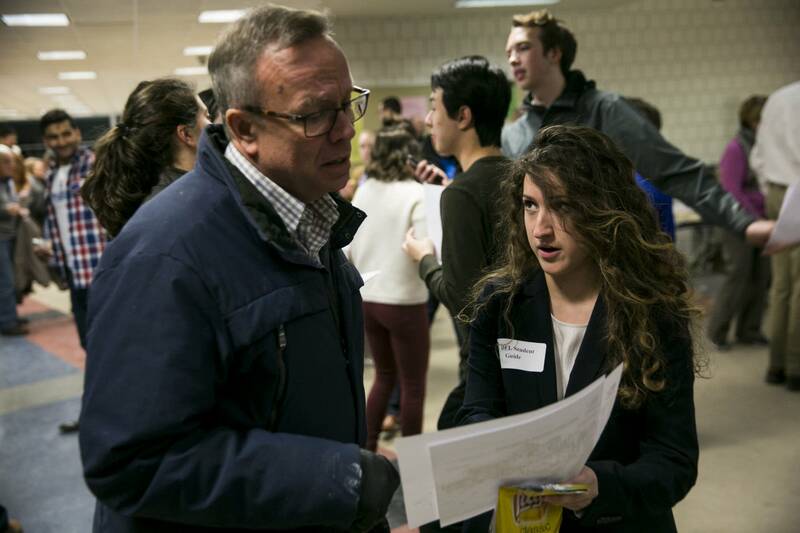 But Tuesday night's caucus results also showed both party nominating contests are far from over, with many caucus goers marking themselves down as undeclared. And Minnesota voters didn't exactly beat down the caucus doors this year. About 3,000 fewer Republicans showed up than the last time the party was in search of a candidate for governor. Democrats fared better in that department, topping the number who attended the last time the governor's mansion was without an incumbent. Rep. Walz was leading five Democratic challengers by at least 10 percentage points with roughly 75 percent of votes tallied Tuesday night. 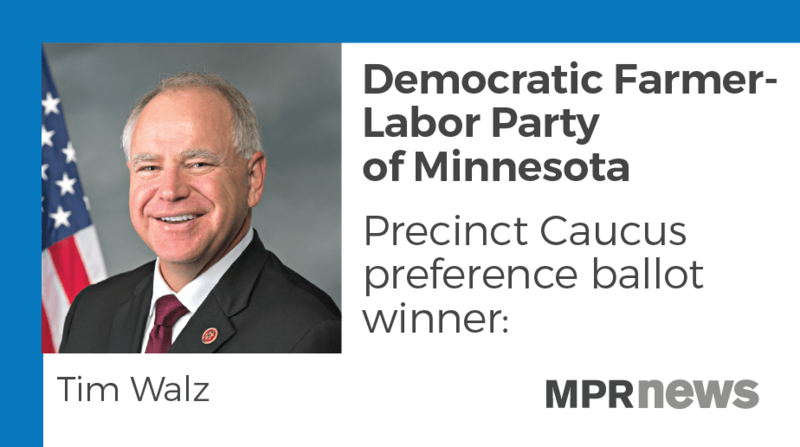 But Walz was careful not to read too much into the results. "I do realize it's a pretty small sample size. There's an awful lot of folks that are in bed, getting ready to go to work tomorrow who have no idea what a caucus is. But it's just kind of a snapshot," Walz said. The 1st District congressman took about 30 percent of the vote and won six in eight congressional districts. He was followed by State Auditor Rebecca Otto and state Rep. Erin Murphy. There were a fair number of uncommitted voters in the nonbinding poll. 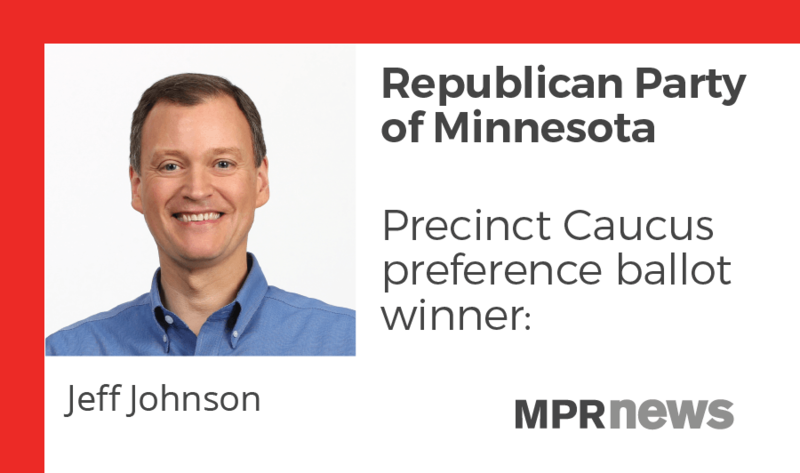 On the Republican side, Hennepin County Commissioner Jeff Johnson had the runaway win with about 45 percent of the total vote. "It's a snapshot in time. I never get too high or low based upon polls, but I think the spread is better than I can remember a straw poll being. So that is helpful," Johnson said. 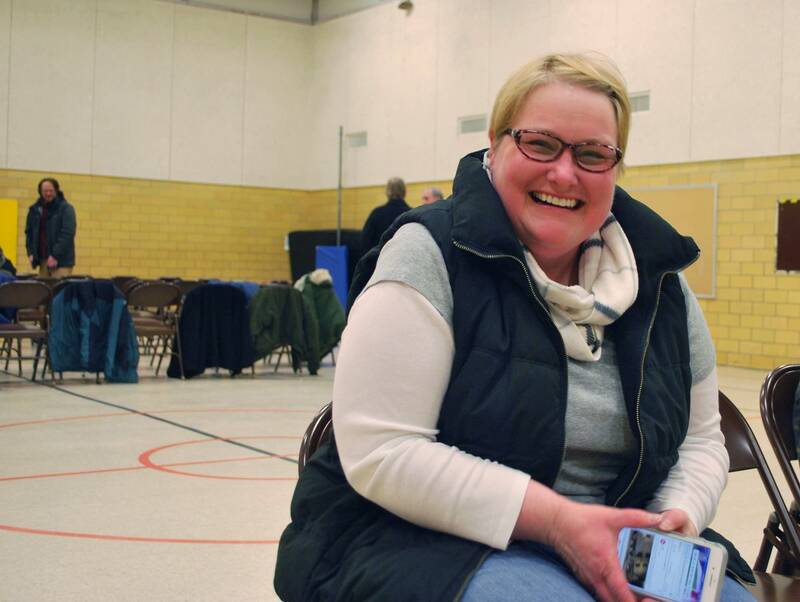 Shirley Schaff was among Johnson's backers, casting a vote for him at her Eden Prairie caucus. "He's got great morals. He has great ethics. That's my kind of candidate," Schaff said. The second-place finisher wasn't a candidate, but rather the "undecided" option. Former Republican Party Chairman Keith Downey finished a distant third. For both parties, the real impact of the caucuses is measured in delegates to area and eventually state conventions. That's the pool of voters who will decide who gets the party endorsements in June. August primaries determine the fall matchup. A contested primary looks more likely for Republicans now that former Gov. Tim Pawlenty is sizing up a run. But Schaff says Pawlenty shouldn't expect a campaign to be a breeze after eight years out of office. She said the party faithful are more aligned with President Trump's brand of Republican politics than Pawlenty's. "To go after that Trump vote is going to be a challenge because really the Trump vote is with the other candidates," she said. Trump was also a big factor in the DFL caucuses. Several people said they had never been involved in caucuses or had fallen away from political participation. They said they that were motivated to fight back against Trump and his policies. It's what drew Michelle Klinger to a caucus in Bemidji. "I became very complacent, because I thought well, we have what we need. And you don't think. You don't remember sometimes that in America, it doesn't stay that way," Klinger said. 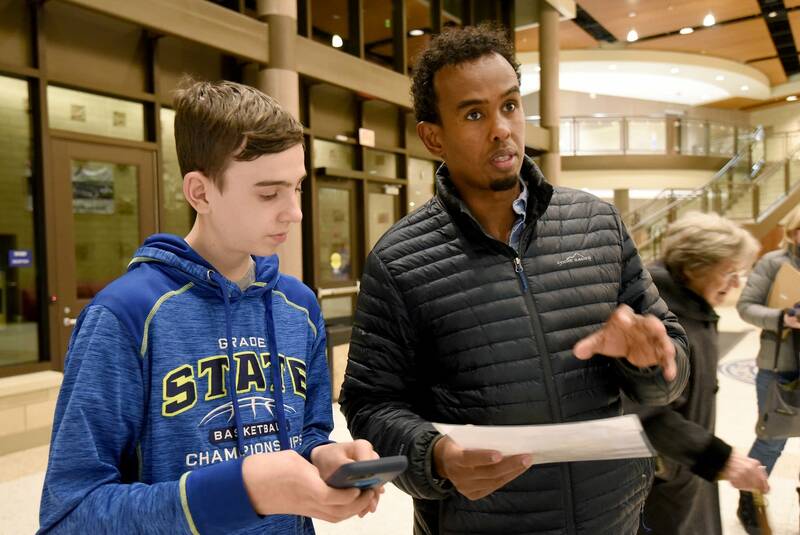 Caucus rookie Abdiaziz Dafar says Trump is against everything he personally stands for. He said he's aiming to mobilize neighbors in Inver Grove Heights and fellow Minnesotans of Somali descent. "I just want to be in the game and make sure I bring a lot of people out in the system," Dafar said. On the governor's race, he wasn't as plugged in. Other Democrats said it was too early to settle on a candidate. David Christensen guessed he's been to 10 caucuses and has attended state conventions in the past. He said his party needs to coalesce quickly around someone who has the horsepower to take on Pawlenty. "I think he's been hiding in the weeds for a while now," he said. Even though Pawlenty hasn't even entered the race, Christensen expects that to happen and for the Republican to be formidable. "Just being a former governor I think gives him a lot of leverage, and also his name recognition," Christensen said. For now though, the candidates who are in the race are taking stock of the numbers and worrying about how they'll push their campaigns ahead. And if history tells us anything, some will probably determine they can't. MPR News reporters Peter Cox, John Enger, Matt Sepic and Mark Steil, and The Associated Press contributed to this report.